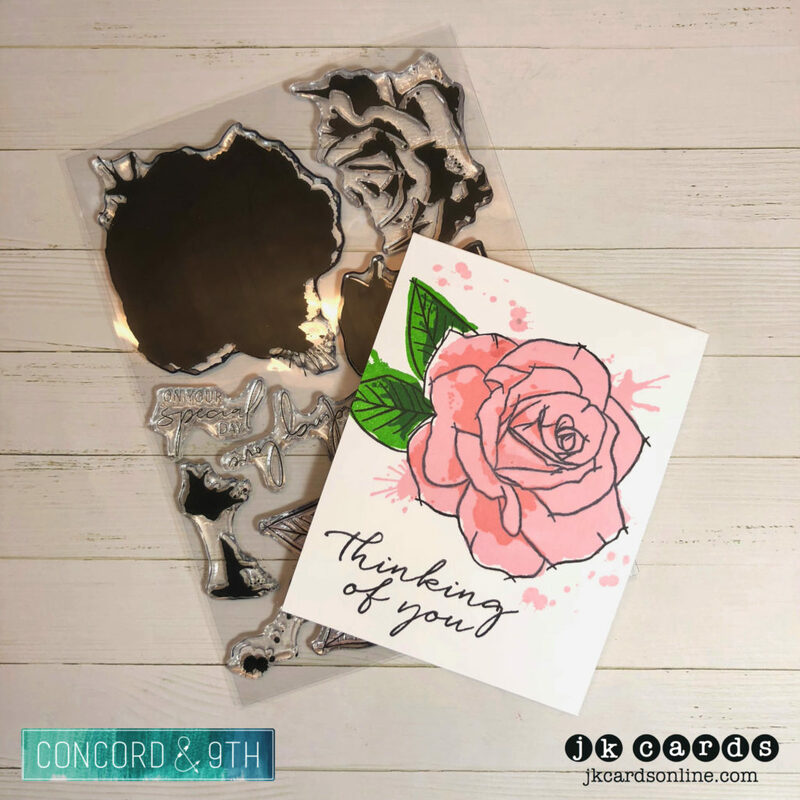 Thanks Peach – Where Creativity Meets Concord & 9th! 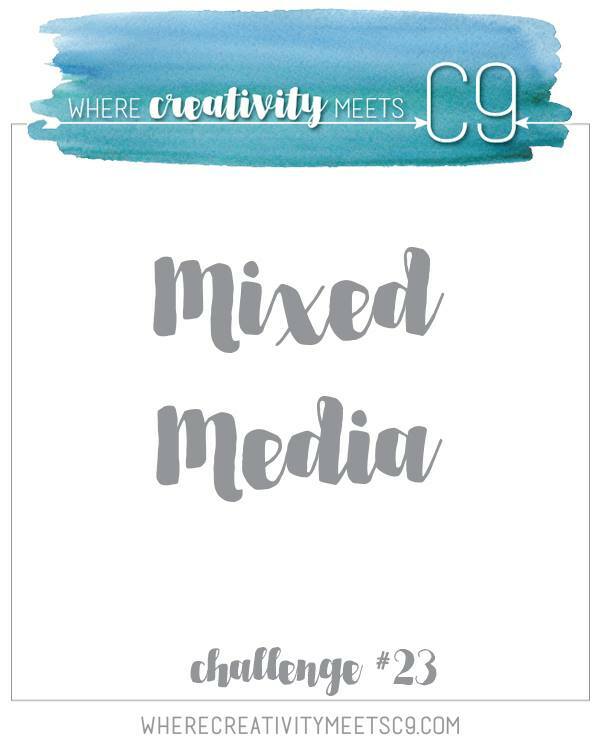 It’s time for my August Solo Post over on the Where Creativity Meets Concord & 9th Challenge Blog! 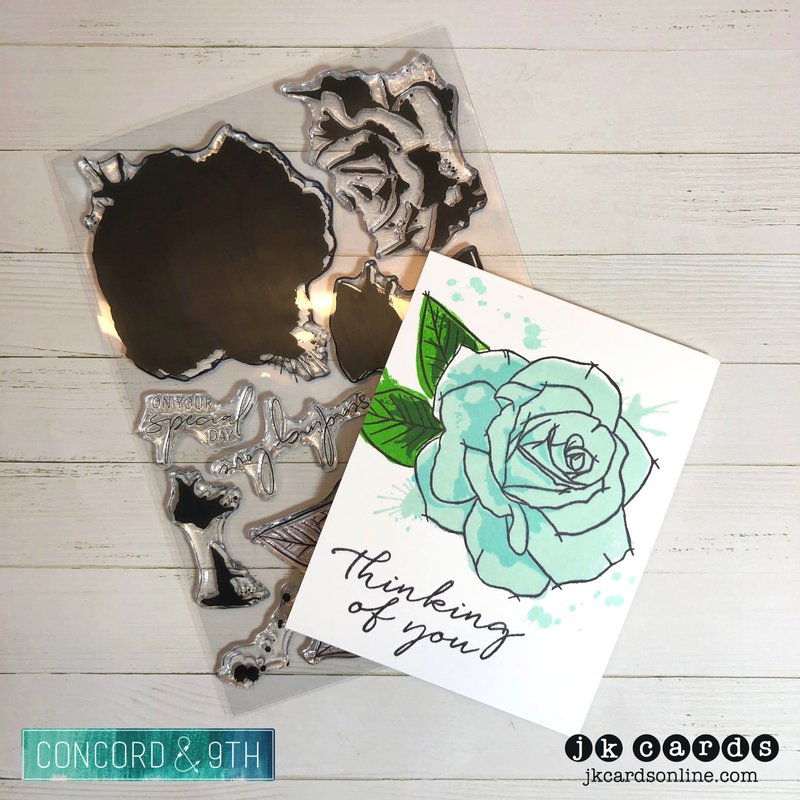 I love the new Dip Dyed Cards and Envelopes that Concord released last month so I used one to make my card for today! 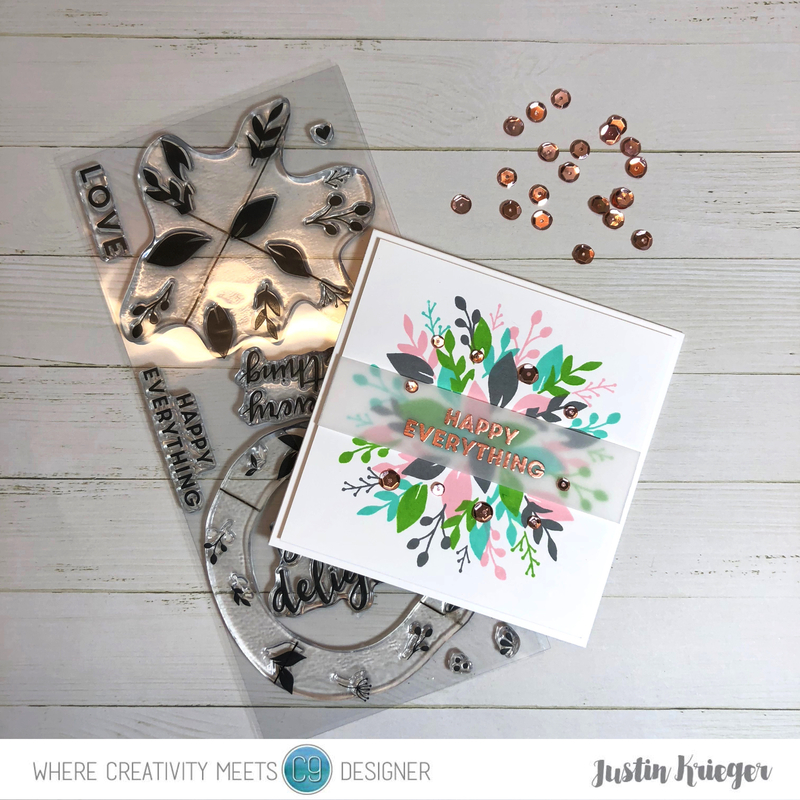 I started by heat embossing the thank you from the Triple-Step Thank You Photopolymer Stamp Set in Hero Arts White Embossing Powder onto a piece of Iridescent Vellum using my Mini MISTI and then cut it out with the Coordinating Dies. The peach is from the same set and is stamped in Carrot and Cranberry for the peach and Noble Fir for the leaf. The Coordinating Dies cut that out too. I stamped the you’re a peach in Peacock and then used 3M Foam Tape to adhered the thank you and the peach to the card base. Don’t those Dip Dyed cards make cool backgrounds?! 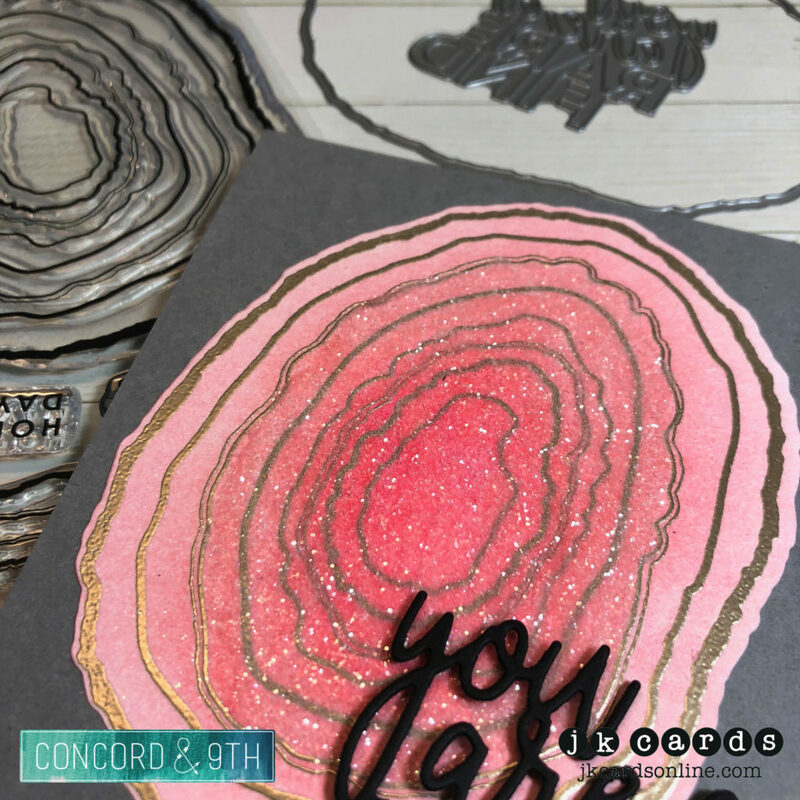 Retro You’re My Jam – Where Creativity Meets Concord & 9th! Hi everyone! 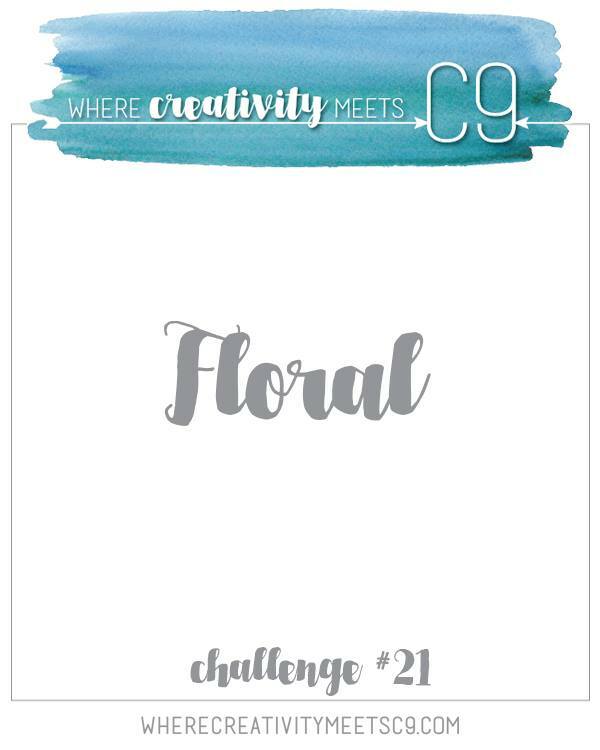 It’s time for my June Solo Post over on the Where Creativity Meets Concord & 9th Challenge Blog! When I saw the new Mix Tape Stamps and Dies I had to have them! Brings back memories of my youth! LOL! 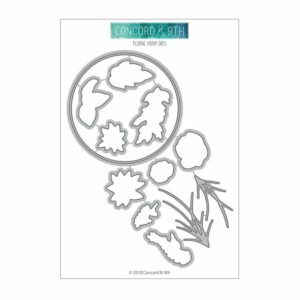 I started by stamping the cassette tape from the Concord & 9th Mix Tape Photopolymer Stamp Set in Black Licorice onto Solar White 80lb and then used the Coordinating Die to cut it out. 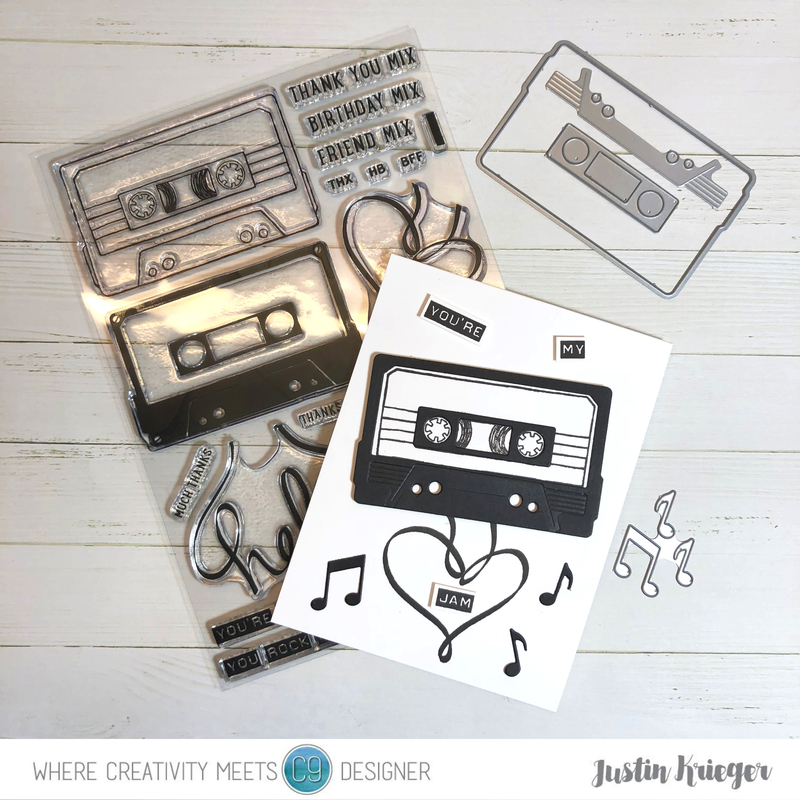 I used some of the other Dies in the Set to cut out the outline of the tape and music notes. I also used another Die to emboss the detail on the Black Die cut. I assembled the cassette tape and used my Mini Misti to stamp the “tape heart” onto my card base of Neenah Solar White 110lb Card Stock. 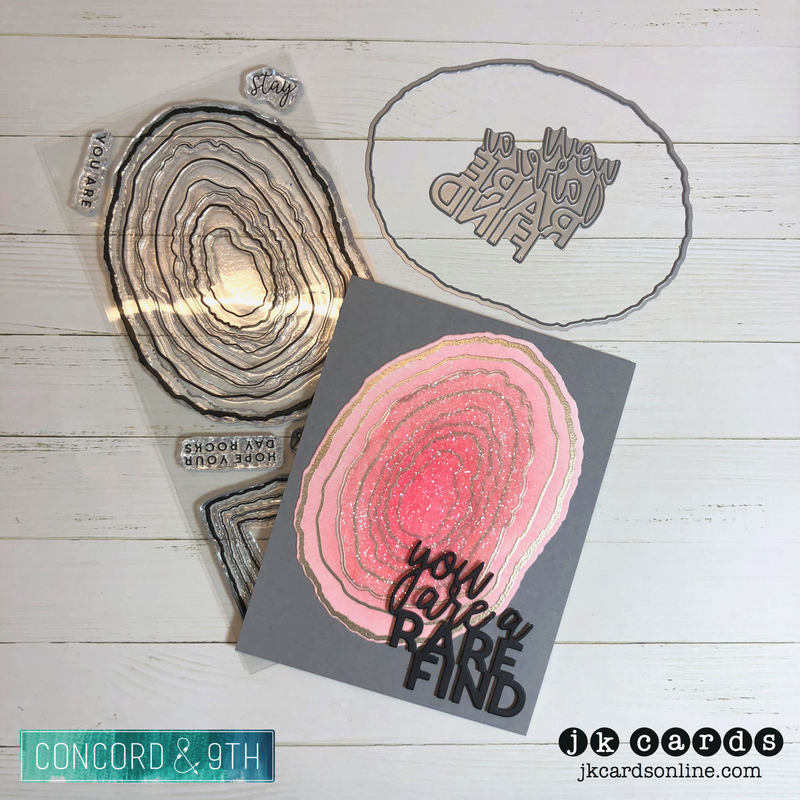 Next I stamped the You’re My Jam onto more Solar White 80lb and cut it out with my Scissors. To assemble the card I used 3m Foam Tape to adhere the cassette tape and greeting to my card base and some Multi-Matte Medium to add the music notes. 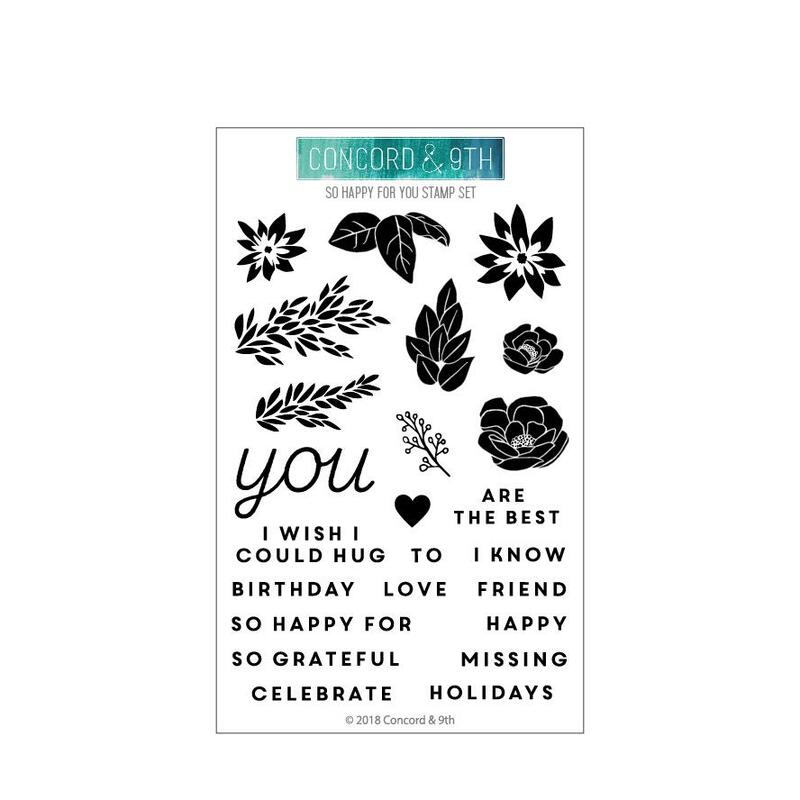 A nice simple black and white card to give to someone special! 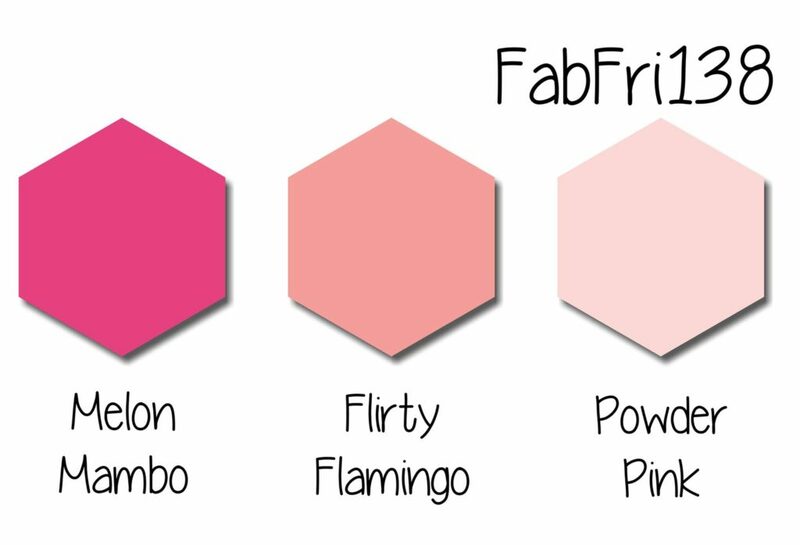 Fab Friday 138 – Colors! 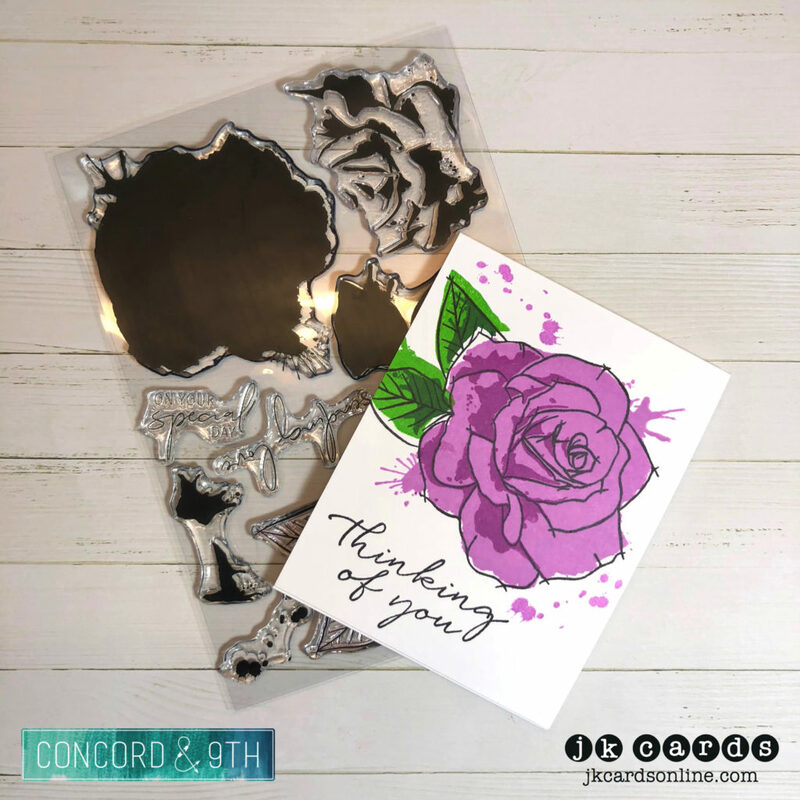 Where Creativity Meets Concord & 9th – Floral! I have been on a wreath kick lately, they make such a nice focal point for a card and they aren’t just for the Holiday’s anymore! I began by stamping the wreath from the Concord & 9th Magnolia Wreath Photopolymer Stamp Set in Freshly Cut Grass and Jalapeño using my Mini MISTI. 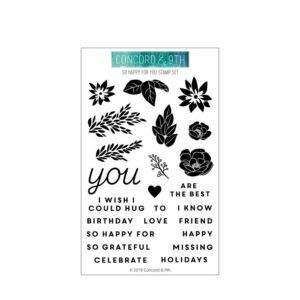 I then stamped the greeting from the same set in Black Licorice. For the flowers I used the Coordinating Die Set to cut them from some 65lb Rose Quartz Stardream Metallic. To adhere them to the card I used Mini Glue Dots and added a Basic Jewel Rhinestone to the center of each of them for a little sparkle! Another simple card! I do love the metallic look of the flowers, adds a little something extra don’t you think?! 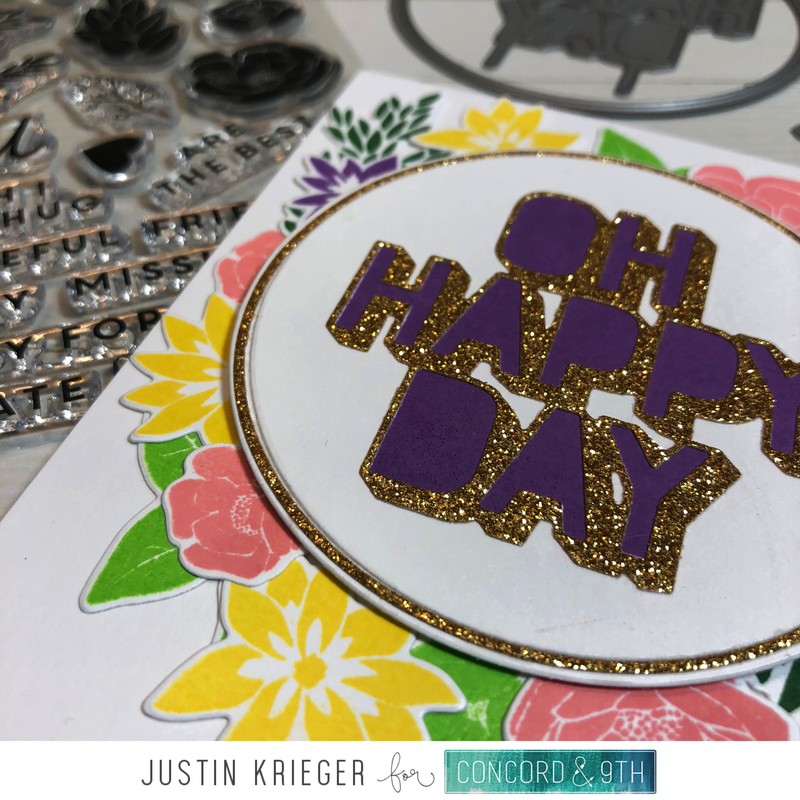 Today, It’s time for my May Solo Post over on the Where Creativity Meets Concord & 9th Challenge Blog! 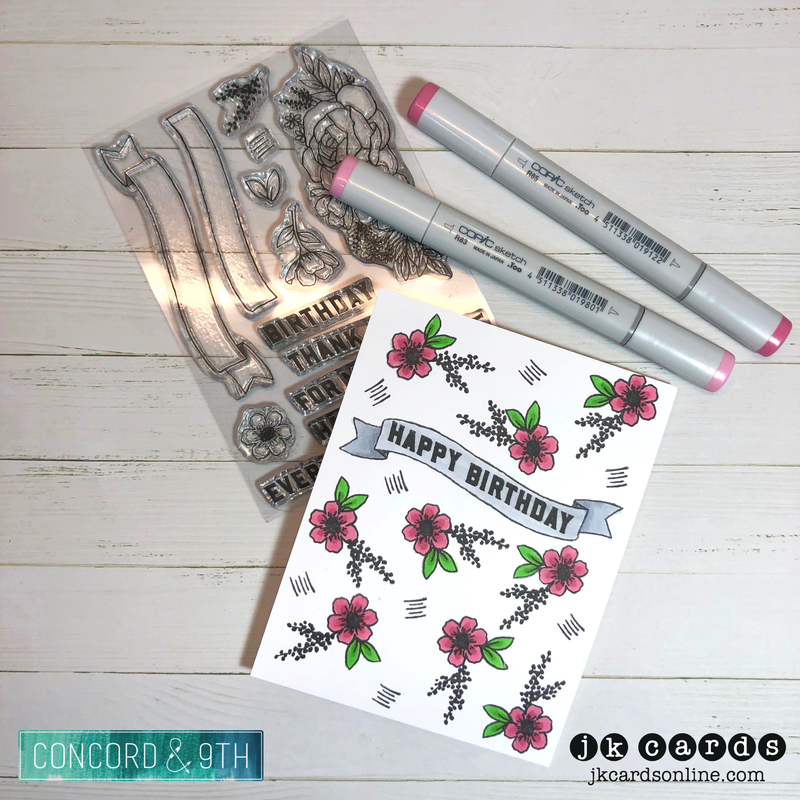 I love that Wreath Turnabout Stamp Set, so many color possibilities and so simple to use! 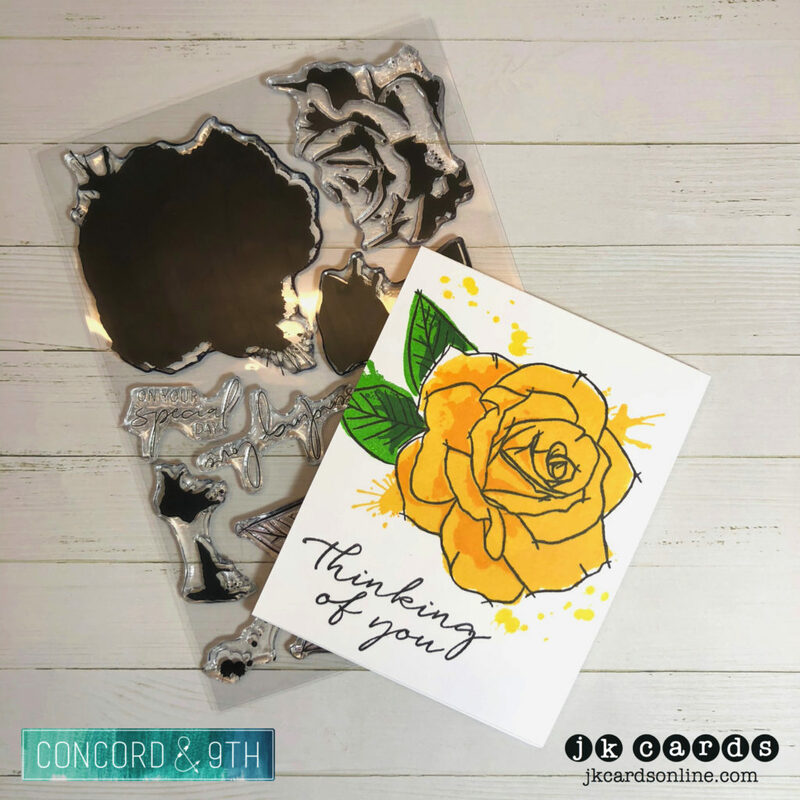 I started my card with a piece of Solar White 80lb cut to 4″ x 4″ and placed it in my Mini MISTI. 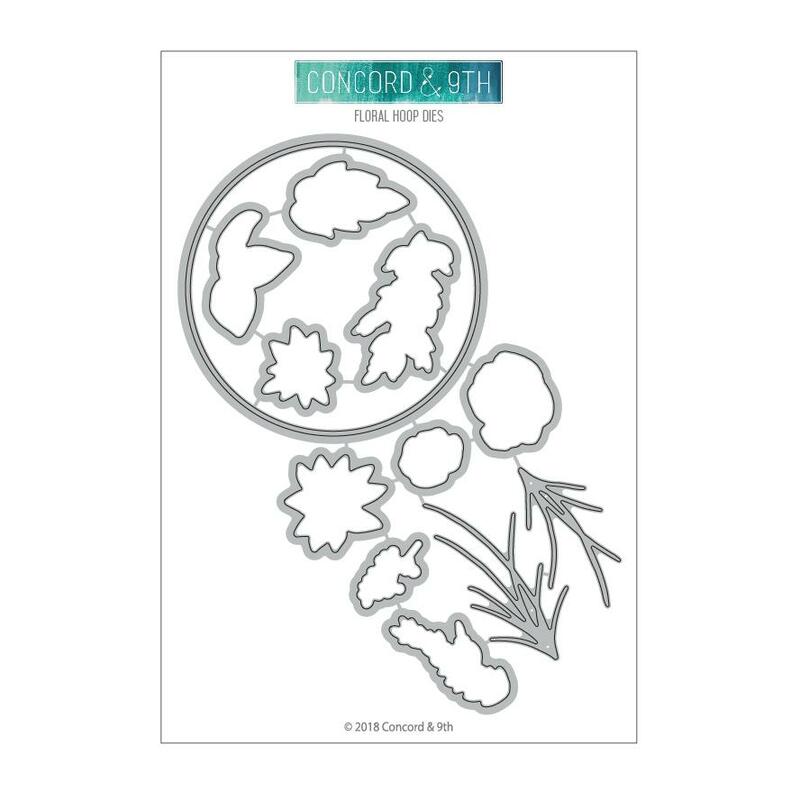 I used the alignment guide to align the wreath from the Concord & 9th Wreath Turnabout Photopolymer Stamp Set and stamped it in Ballet Slippers, Freshly Cut Grass, Hippo and Merman. Next I heat embossed the greeting from the same set in Hero Arts Copper Embossing Powder onto a strip of 65lb Vellum. Some E-Z Runner Ultra Strong adheres the strip around the back of the stamped panel. The panel is then adhered to a card base of Neenah Solar White 110lb Card Stock cut to 4 1/4″ x 8 1/2″ and folded with E-Z Runner and Fun Foam. For a little more sparkle I added some Pretty Pink Posh Rose Gold Sequins and the card is done! I do love that wreath and the simple greeting! 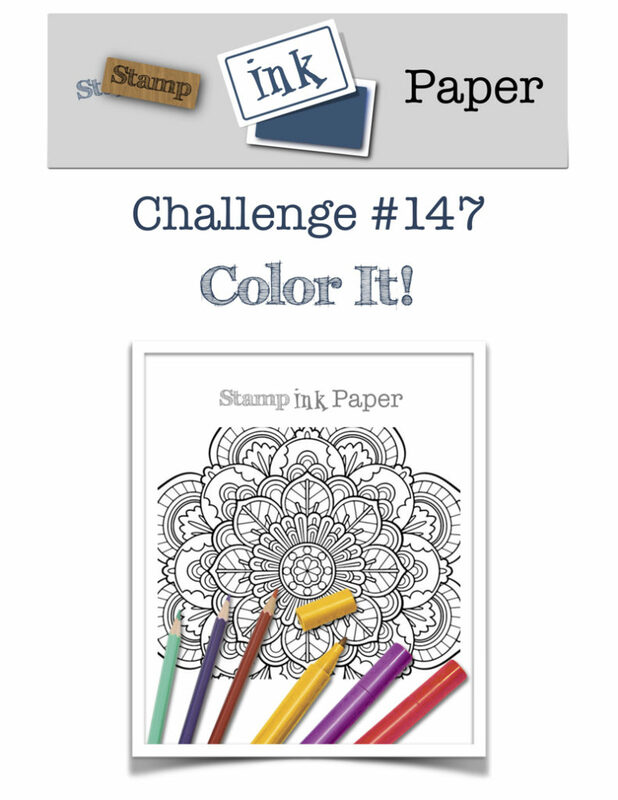 SIP Challenge 147 – Color It! Rainbow Unicorn Birthday – Where Creativity Meets Concord & 9th! 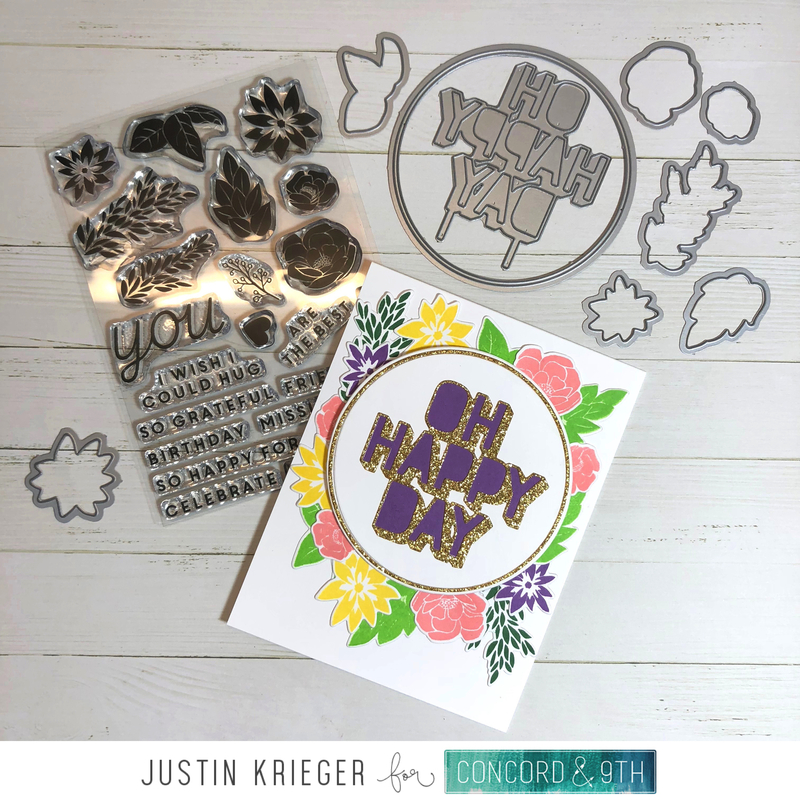 Now, It’s time for my April Solo Post over on the Where Creativity Meets Concord & 9th Challenge Blog! I used a new set and an older one that I thought were made for each other! I started by stamping the rainbow from the Concord & 9th Rainbow Wishes Photopolymer Stamp Set in Sugarplum, Fish Tank, Jalapeno, Sunflower, Carrot and Lobster Ink using my MISIT so I could easily line up the individual stripes. The greeting is then stamped in Jet Black. 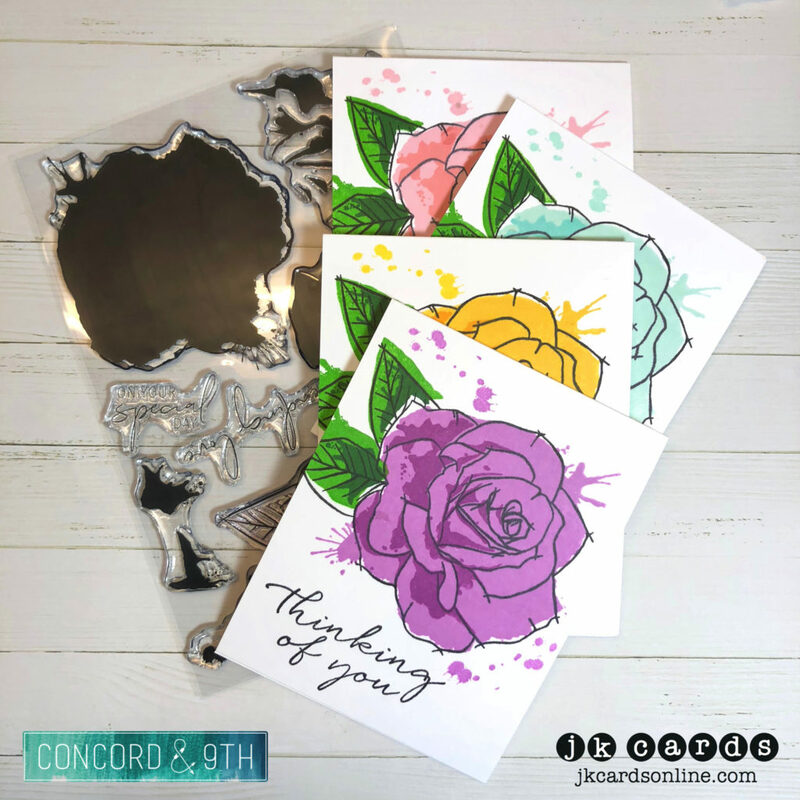 My unicorn is from the Concord & 9th Unicorn Awesomeness Photopolymer Stamp Set and is stamped in Jet Black and colored in with Copics. I added some Nuvo Aqua Shimmer Glitter Gloss Pen to the mane and tail and then used the Coordinating Dies to cut him out. For the clouds I used one of the dies from the Rainbow Wishes Die Set and cut the clouds out from Silver Glitter Card. They are adhered to the card with E-Z Runner and trimmed. All that was left to do was to add the unicorn with 3M Foam Tape and the card is done! 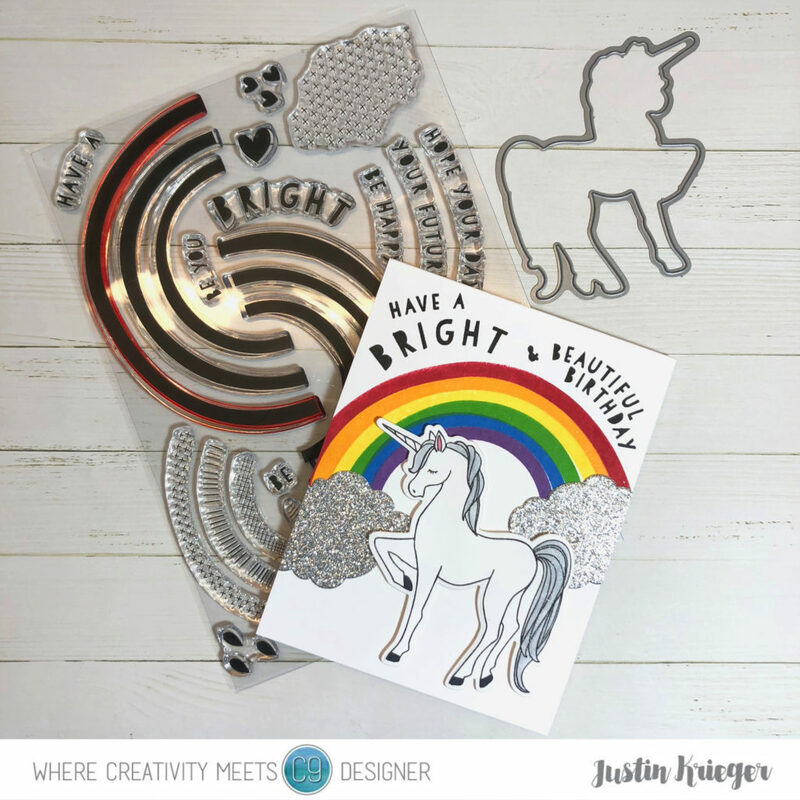 Who doesn’t like a card with a rainbow and a unicorn?! 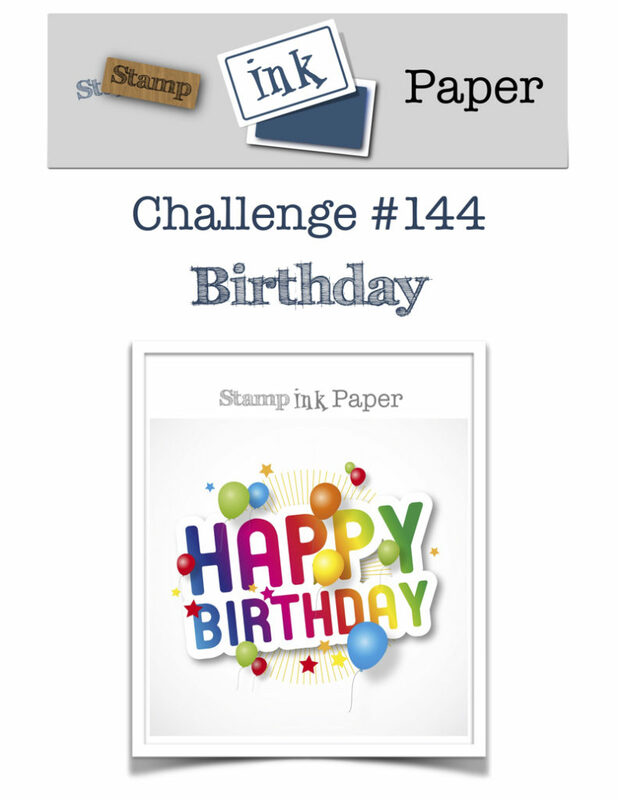 SIP Challenge 144 – Birthday!